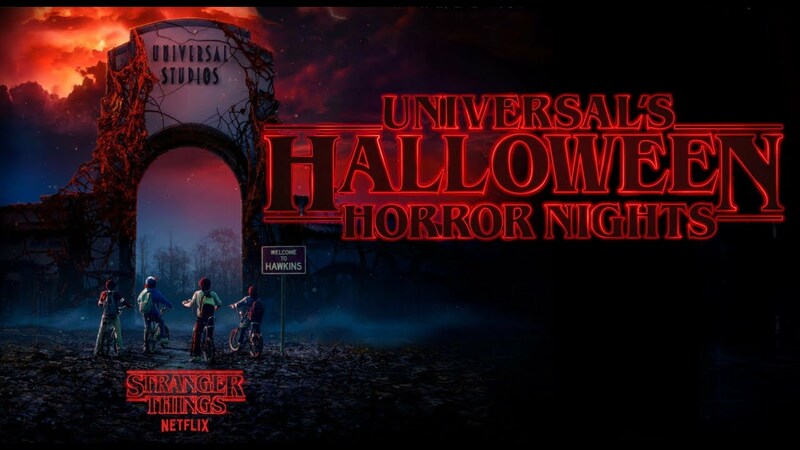 Stranger Things fans, soon you will get the chance to enter the Upside Down during Universal Studios’ Halloween Horror Nights. The amusement parks in Hollywood, Orlando and Singapore will feature a creepy, supernatural maze from the world of Stranger Things. The Upside Down is the parallel universe filled with deadly creatures like the Demogorgon, and it is causing grief in the small town of Hawkins, Indiana. Guests will experience iconic scenes, characters and environments from the show including Hawkins National Laboratory, Byers home with flashing Christmas lights, and the Upside Down woods. Universal Studios is working with Netflix and the executive producers from the series, Matt Duffer, Ross Duffer and Shawn Levy. Halloween Horror Nights terrorizes its guests starting on Friday, September 14 in Hollywood and Orlando and on Friday, September 28 in Singapore. Stranger Things Season 2 premiered in October of last year, with the kids coping with the events of the first season. They will once again have to find out a way to stop the Upside Down world from taking over our world.